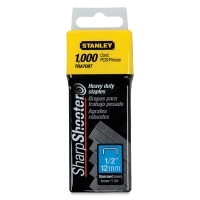 These heavy-duty staples are designed for use with Stanley TR150 Heavy-Duty SharpShooter Staple Gun and other staple guns. Available in three leg lengths, the staples are neatly packaged in a sturdy plastic package for easy storage and protection. Each box contains 1,000 staples. 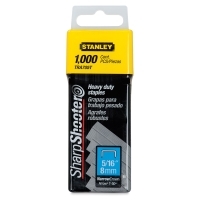 ® Stanley is a registered trademark.™ Sharpshooter is a trademark.